Sound advice for women involved in or considering careers in engineering is being dispensed by one of the country's leading women scientists at the University of Southampton on 21 May when the University hosts the 5th Campbell Lecture. 'From short cracks to glass ceilings: Alice's advice on a career in engineering' will be presented by Professor Julia King, Vice-Chancellor of Aston University. Professor King's research has been recognised through the award of the Grunfeld, Bengough and Kelvin medals. In 1997 she was elected to Fellowship of the Royal Academy of Engineering and in 1999 awarded the CBE for Services to Materials Engineering. She has published more than 160 papers on fatigue and fracture in structural materials, materials issues in aero engines, and advances in marine propulsion technology. The lecture is jointly sponsored by the University of Southampton Women in Science, Engineering and Technology (WiSET) group and the School of Engineering Sciences. The Campbell Lecture is an annual lecture given by a successful international woman scientist, celebrating women in science, engineering and technology. The lecture is named in honour of Ishbell Campbell (1906-1997) who was one of the founding academics of the University of Southampton, a research chemist who was a committed teacher and inspiration for women in science. The University of Southampton WiSET group launched in 2002 and has been involved in a number of activities to support and enable the success of women in the University. The Campbell Lecture represents a key part of a project to showcase the high quality of women scientists both internationally and at Southampton at all stages of their careers. The lecture takes place at 3.00pm in Lecture Room A, Lanchester Building on the University's Highfield campus on Wednesday 21 May 2008. Tickets are not required for this lecture and all are welcome. 1. Professor Julia King was educated at New Hall, Cambridge, where she gained a first class BA Honours Degree in Natural Sciences (Metallurgy) in 1975, followed by a PhD (in the field of fatigue and fracture) in 1979. She then held academic posts at the University of Nottingham and at Cambridge University, before moving to Rolls Royce Plc in 1994, to take up the post of Head of Materials at the Rolls Royce Aerospace Group. She was Director of Advanced Engineering, Rolls Royce Industrial Power Group from 1997 - 1998, Managing Director of Rolls Royce Fan Systems from 1998 - 2000, and then Director of Engineering and Technology - Marine from 2000 - 2002. She moved from Rolls Royce in 2002 to become Chief Executive of the Institute of Physics. Between 2004 and 2006 Professor King was Principal of the Faculty of Engineering at Imperial College London, taking up the post of Vice-Chancellor of Aston University in November 2006. 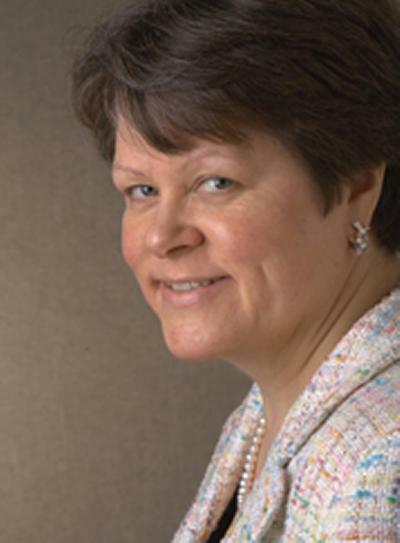 Professor King has been recognised for her work by many awards and honours during her career, including the Fellowship of the Royal Academy of Engineering in 1997, and the CBE in 1999 for services to Materials Engineering. She has published more than 160 papers on fatigue and fracture in structural materials, materials issues in aero engines, and advances in marine propulsion technology. The University of Southampton is a leading UK teaching and research institution with a global reputation for leading-edge research and scholarship. This is one of the country's top institutions for engineering, computer science and medicine, and home to a range of world-leading research centres, including the National Oceanography Centre, Southampton, the Institute of Sound and Vibration Research, the Optoelectronics Research Centre, the Centre for the Developmental Origins of Health and Disease, and the Mountbatten Centre for International Studies. We combine academic excellence with an innovative and entrepreneurial approach to research, supporting a culture that engages and challenges students and staff in their pursuit of learning. As one of the UK's top 10 research universities, we offer first-rate opportunities and facilities for study and research across a wide range of subjects in humanities, health, science and engineering. We have over 22,000 students, around 5000 staff, and an annual turnover in the region of £325 million.